Huxley is a house DJ/producer that has been a key player in the underground scene since dropping his first two EPs ‘Sassanids’ and ‘The White’ in 2009. 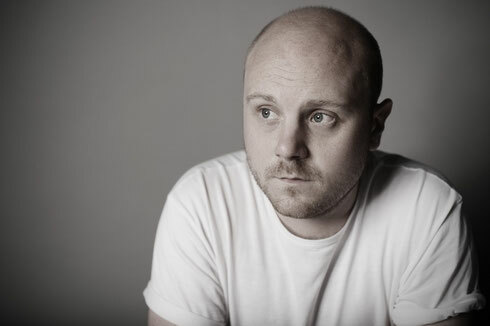 With a big couple of years that followed, Huxley has received praise from all over the globe, including claiming a spot in Resident Advisor's Top 100 DJs in 2012 and clocking at #9 in their Top 50 tracks of 2012 for his track "Let It Go". He has since played venues around the world and continued to collaborate and remix with electronic music's biggest names, which include Maya Jane Coles, Carlo Lio and Groove Armada. With the launch of his second imprint, No Idea's Original, alongside friend and collaborator, J.Phlip, and his recent single ‘Widow’ on Aus Music being listed by Mixmag as one of their ‘Big Tunes’ for January, 2016 is already looking huge for Huxley. Over the last seven plus years, he has focused on many different styles and proof of that lies in his varied and vital discography. Coming on labels like Hypercolour, Tsuba and 20:20 Vision, it includes many club tracks and plenty of handy DJ weapons, but also an ambitious and widescreen debut album on Aus Music, which has become a regular home. Always refusing to stay in one sonic niche for too long, Huxley—whether working solo or with close friends like Sam Russo or Ethyl— apparently switches up his sound, tries new things and colours outside the lines with every new outing. Not afraid of a big hook or slaying bassline, he is an artist who unites a variety of sounds, styles and scenes with ease, and always proves as fun as he is well informed. As a DJ, Huxley is someone who is comfortable performing in a club or a festival. It’s his definitive sense of taste that he continues to lead from the front on his own Rinse FM show, where he welcomes guests such as And.ID, Truncate and Vin Sol, and there that you get a wider window into his musical world. Look out for his forthcoming Australian dates below.